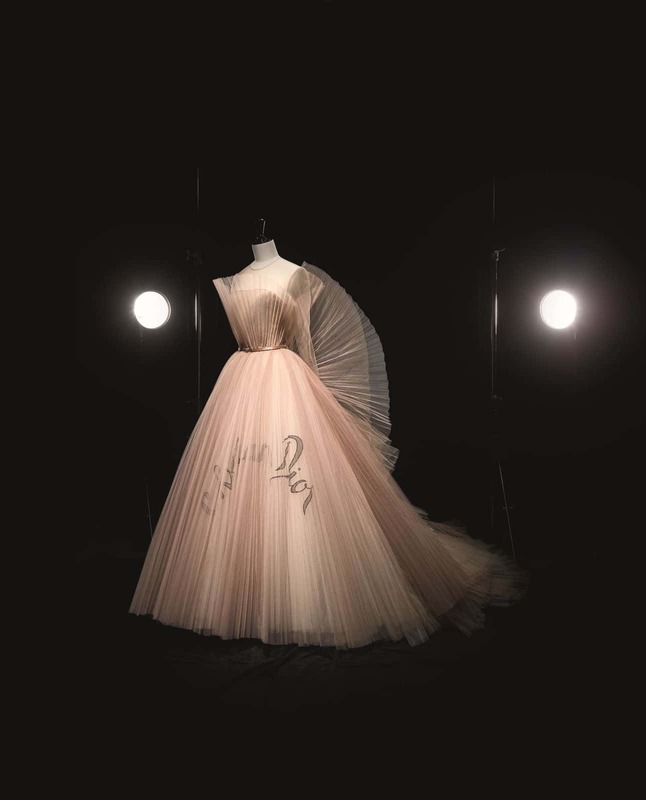 Christian Dior: Designer of Dreams — the largest and most comprehensive exhibition ever staged in the UK on the House of Dior, and the museum’s biggest fashion exhibition since Alexander McQueen: Savage Beauty in 2015 — opened to the public on 2 February 2019. Spanning from 1947 to the present day, this exhibition is based on Christian Dior: Couturier du Rêve organised by the Musée des Arts Décoratifs, Paris. Oriole Cullen, Fashion and Textiles Curator at the V&A reimagined this exhibition for the London gallery space. There are a total of 11 sections, all detailing the exquisite skill and craftsmanship of the ateliers and the creative designers that helmed the house after the demise of Christian Dior including Yves Saint Laurent, Marc Bohan, Gianfranco Ferré, John Galliano, Raf Simons and Maria Grazia Chiuri. One of the biggest highlights of this exhibition is the frothy, off-the-shoulder dress worn by Princess Margaret for her 21st birthday celebrations in 1951. 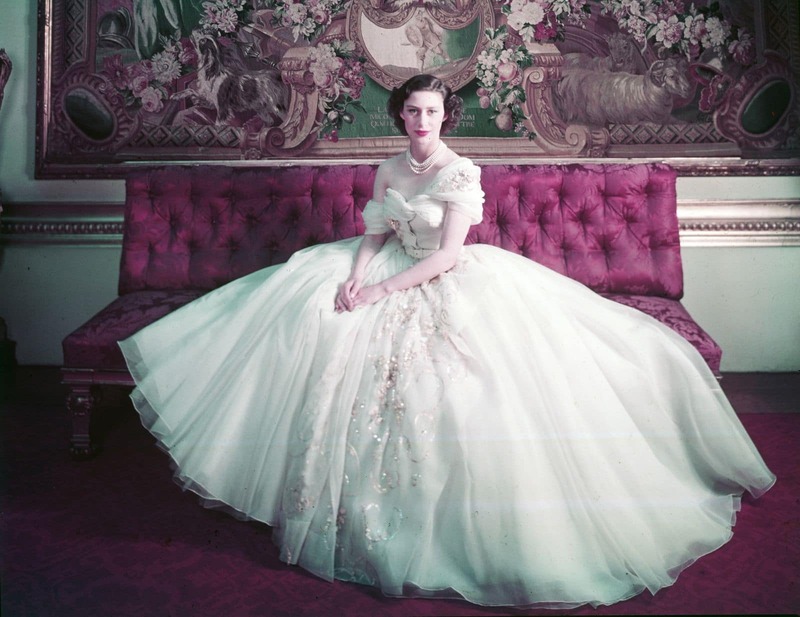 On loan from the Museum of London, Monsieur Dior had to stage a show for the Queen, Princess Margaret and the Duchess of Kent at the French Embassy in London in April 1950. Calling it her “favourite dress of all”, this gown takes pride of place next to Cecil Beaton’s famous photograph of the princess modelling it. 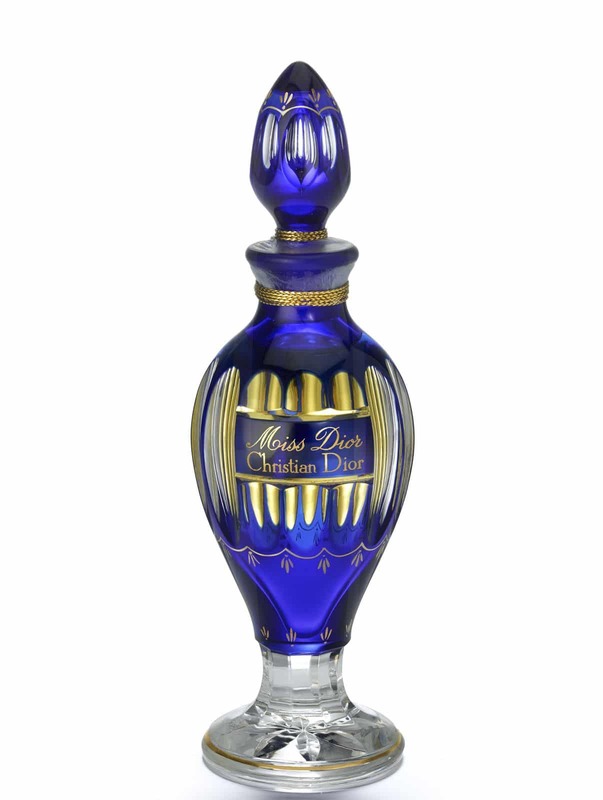 Miss Dior limited edition Baccarat blue crystal 1947. In fact, Miss Dior fragrance (named after his younger sister Catherine) debuted in February 1947 together with his first couture collection. And the stunning limited edition Miss Dior bottle in Baccarat blue crystal from 1947 is also on display for the world to see. This exhibition features over 500 items, out of which more than 200 are rare haute couture gowns, as well as accessories, fashion photography, film, vintage perfume, original makeup, illustrations, magazines, and many of Christian Dior’s personal belongings. 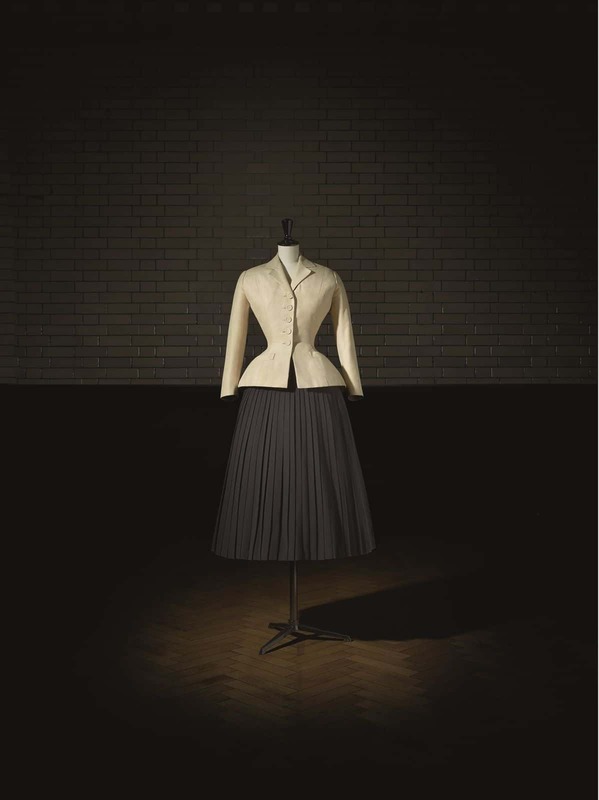 Christian Dior: Designer of Dreams is now on until 14 July 2019 at The Sainsbury Gallery, Victoria and Albert Museum.